Whether you’re a fan of high-resolution music or not yet sure what all the fuss is about, Linn is giving you the chance to explore further with its 24-bits of Christmas promotion, offering a free Studio Master track each day in the run-up to December 25th. 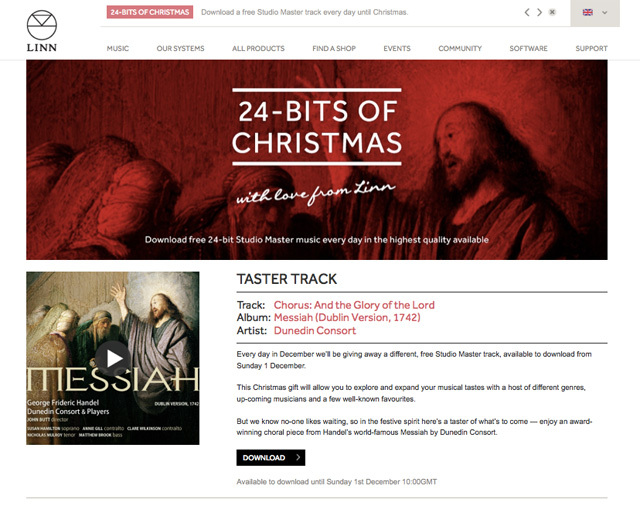 A sampler track – And the Glory of the Lord, from the Award-winning Dunedin Consort recording of Handel’s Messiah – is already available, to preview the start of the promotion on December 1st, when a bonus package of three Studio Master tracks will be available. After that, one track will be available each day from 10.00 GMT for just 24 hours, and Linn is promising a ‘surprise gift’ on December 25th-27th. 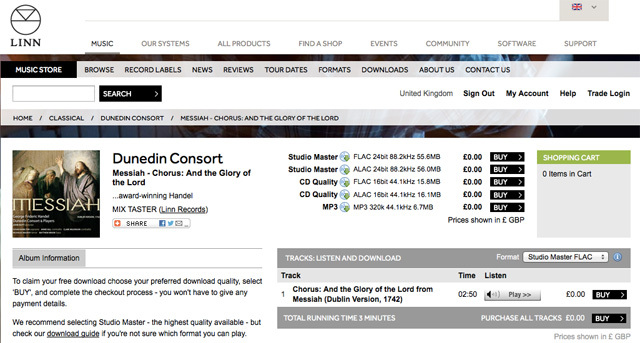 All the tracks are will be downloadable in the highest quality available on the Linn Records site, which means 24-bit 88.2kHz for the Handel, and up to 24-bit/192kHz for the other recordings.